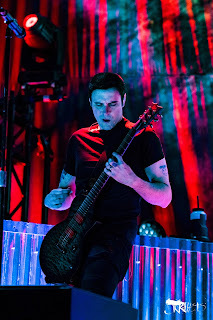 Peoria, Illinois is the 9th stop on Avenged Sevenfold's "The Stage" World Tour with guests Breaking Benjamin and Bullet For My Valentine. 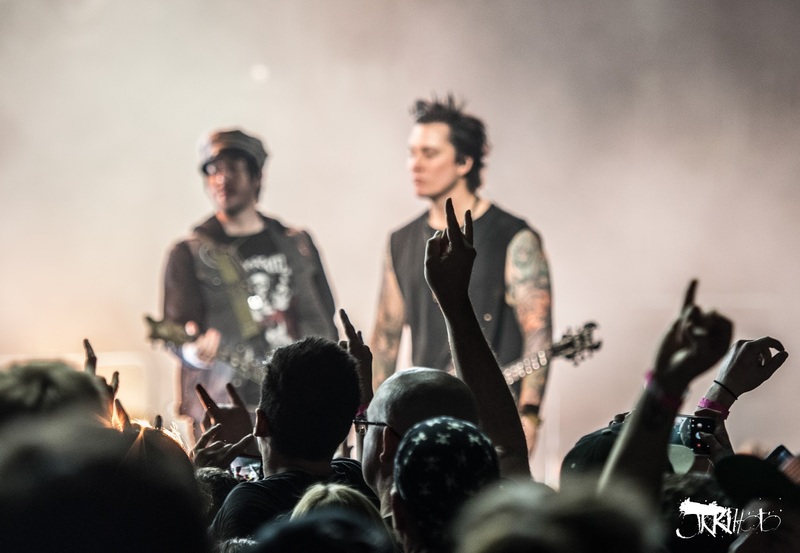 The Peoria Civic Center was packed to the rafters with fans from all over the Midwest for the return of A7X to Central Illinois since 2011. The surge of energy from this almost sold out show was felt by everyone walking into the arena on the chilly January evening. 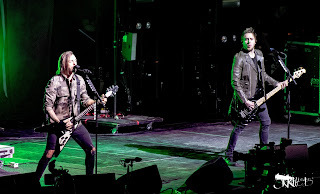 Opening up for the headliner was Bullet For My Valentine. 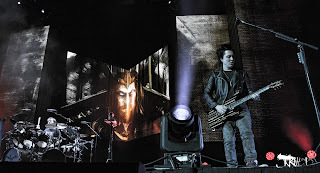 This Welsh heavy metal band formed in 1998 opened up with "My Betrayal" and followed up with other hits such as “Waking the Demon”, and“Tears Don’t Fall”. 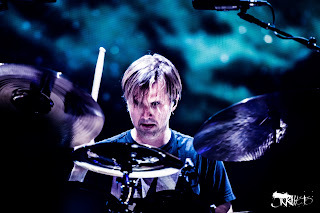 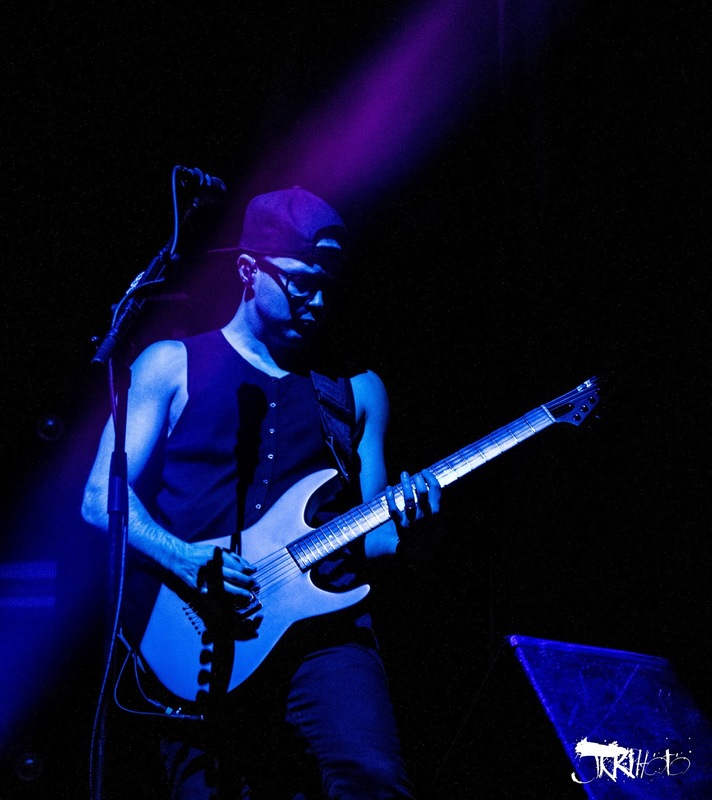 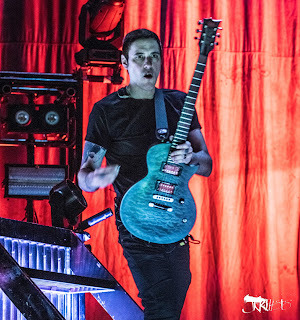 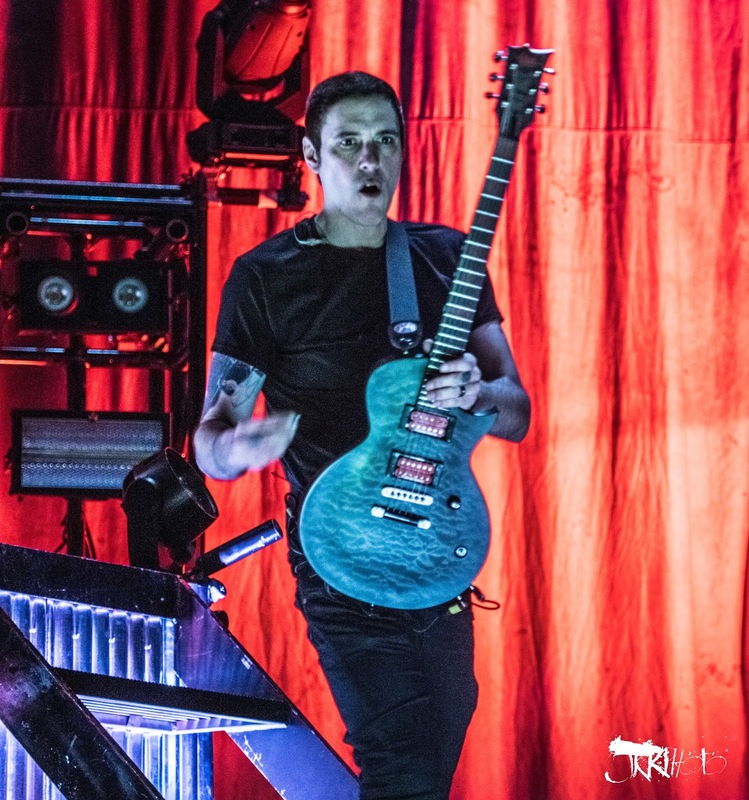 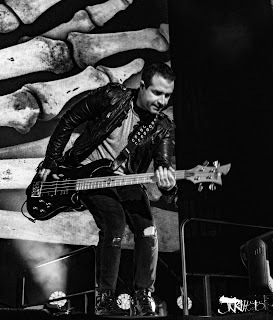 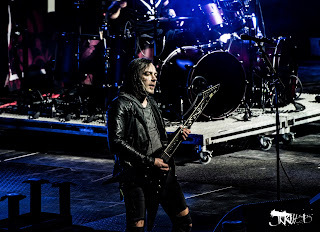 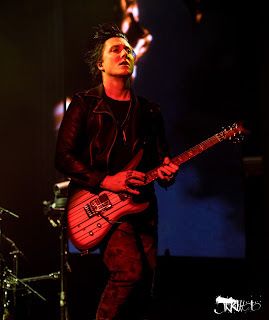 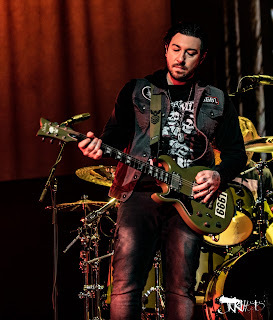 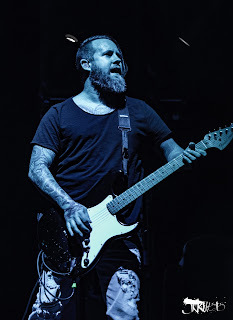 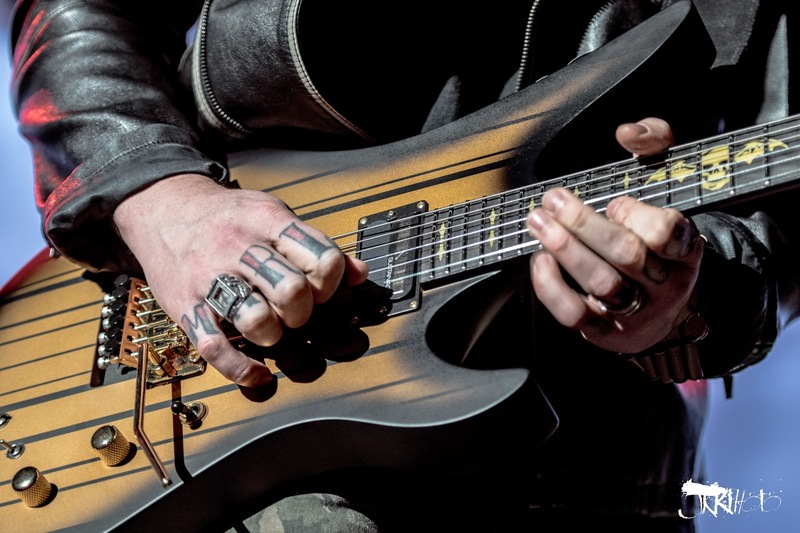 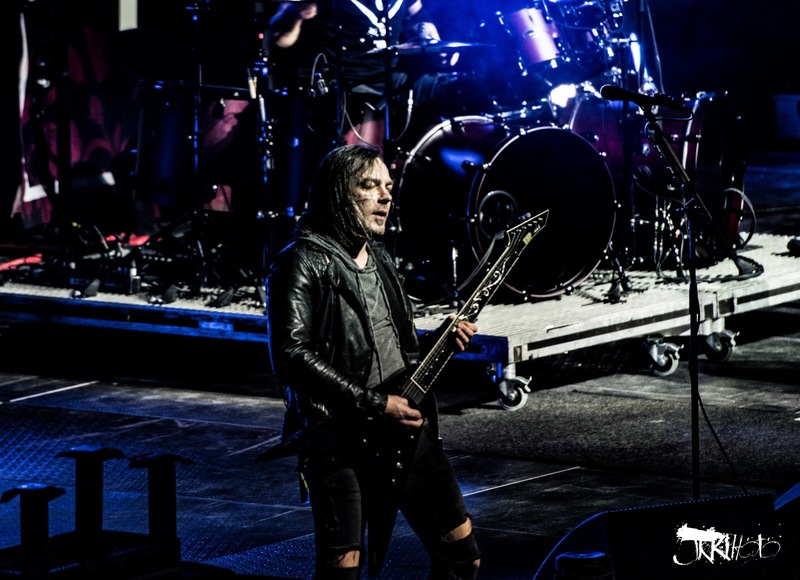 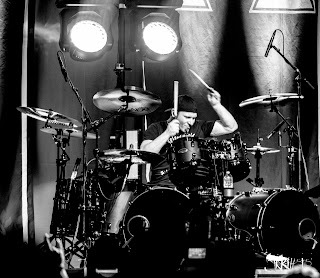 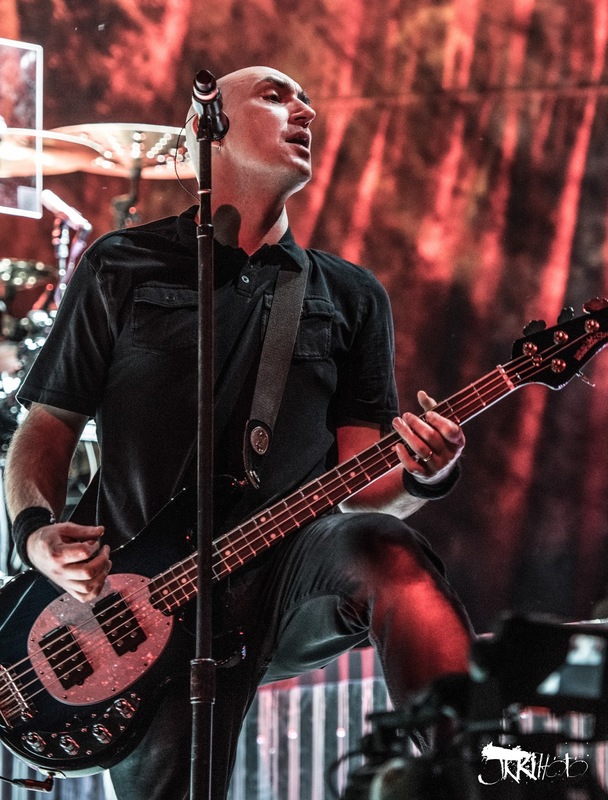 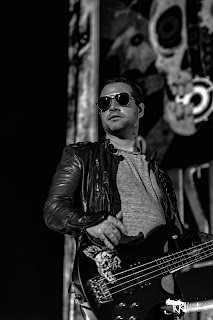 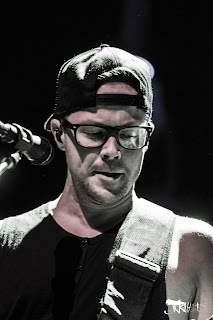 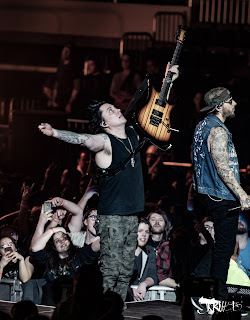 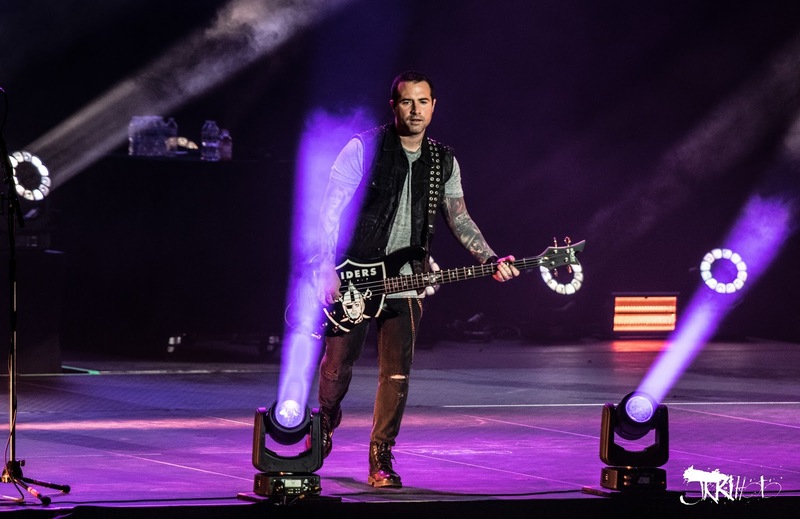 Matt Tuck, Michael "Padge" Paget, Jamie Mathias and new comer drummer Jason Bowld set the tone of the show with their sound a mix of old school influences with a dark hard rock sound. 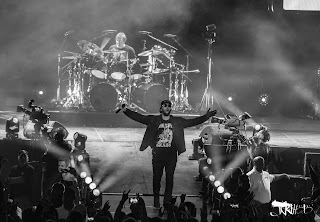 Wrapping up their set with their more recent song “Don’t Need You” they whipped up the crowd for the next band to take the stage. 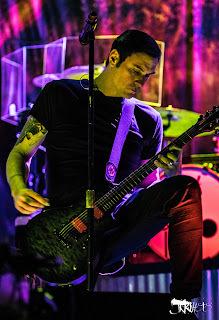 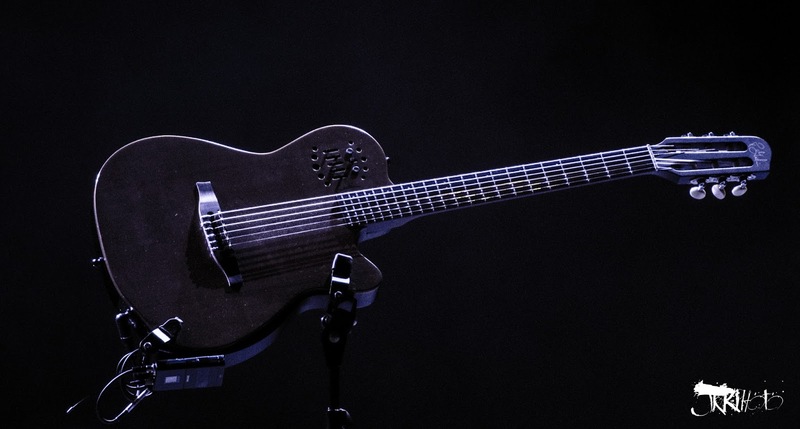 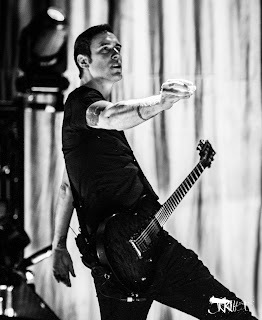 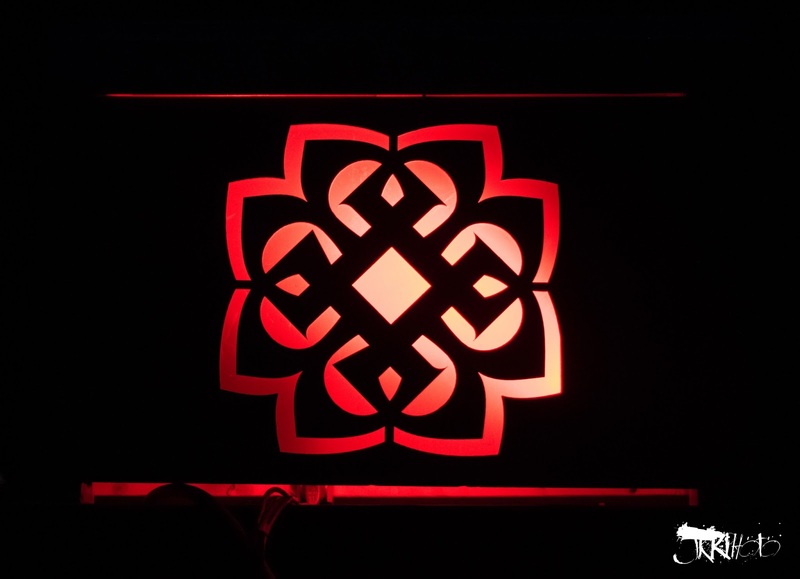 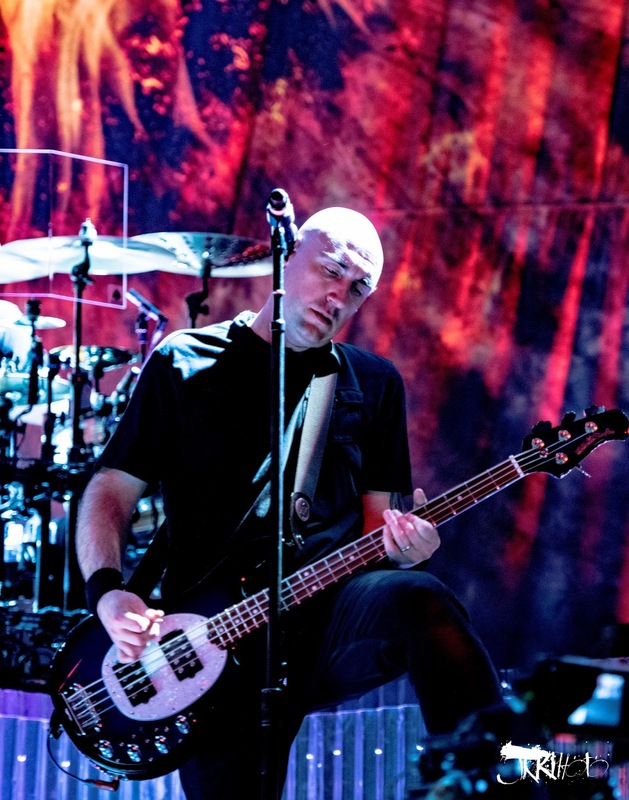 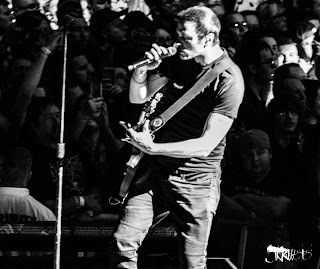 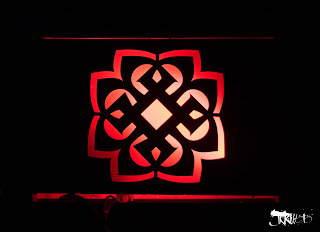 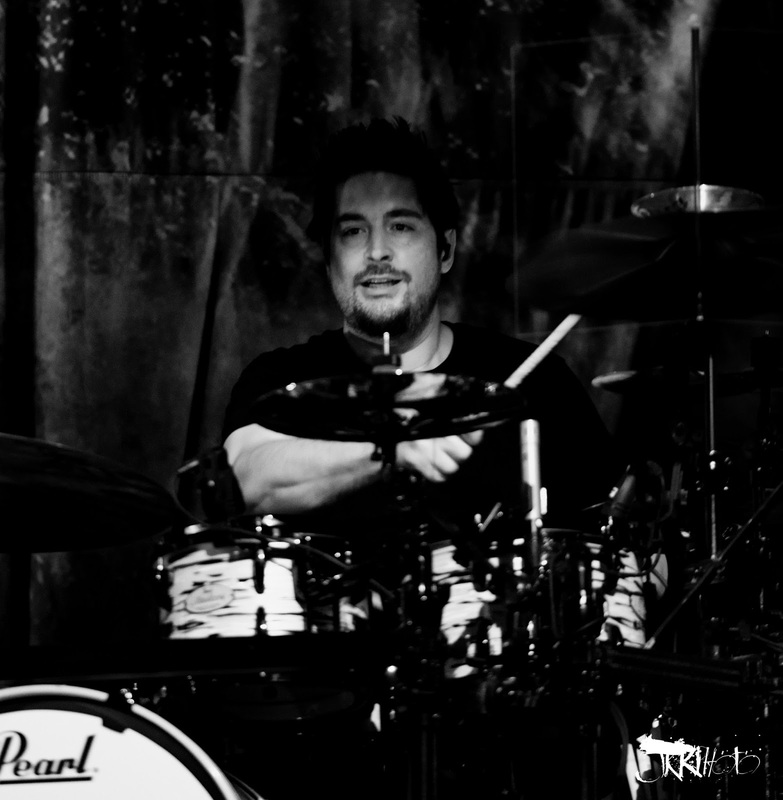 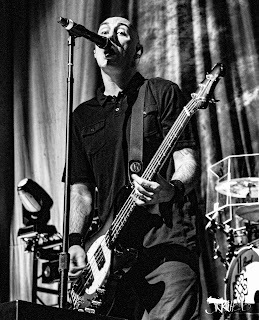 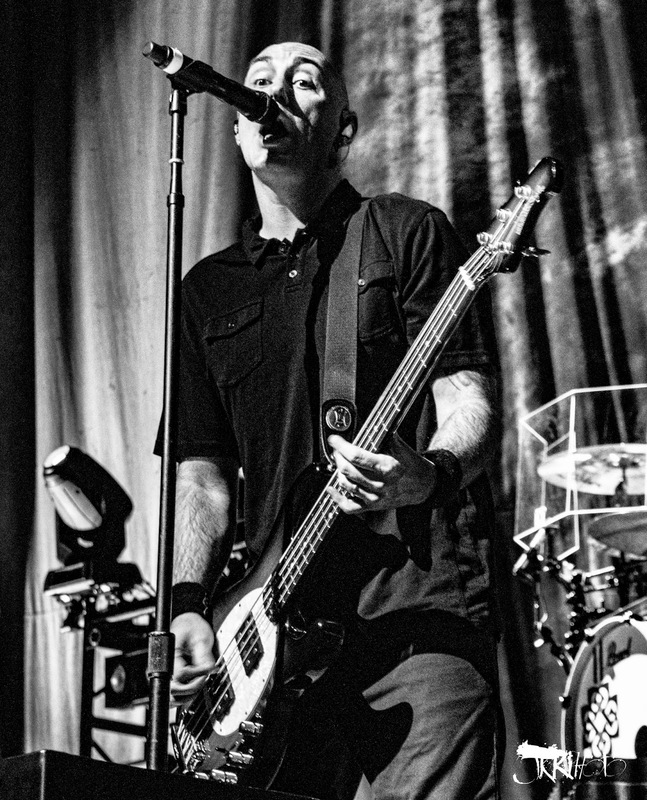 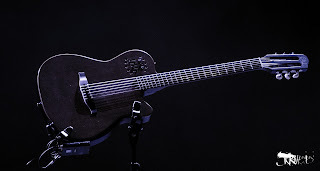 The Pennsylvania rock band Breaking Benjamin formed in 1999 opened up with "So Cold" and "Angels Fall" their live sound almost indistinguishable from recorded tracks. 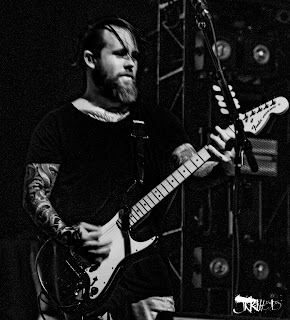 Band members Benjamin Bumley, Jasen Rauch, Keith Wallen, Aaron Bruch, and Shaun Foist involved the audience in every way possible. Even at one point asking if there were any 'Star Wars' fans, nerds or geeks in the crowd before stating "Welcome to the Dark Side!" 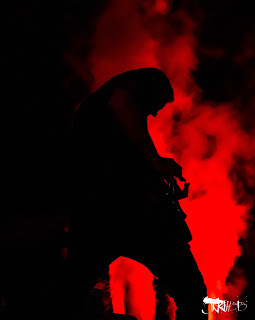 before pulling out a light saber from behind him. 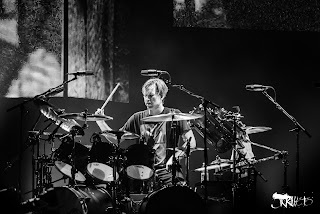 Upon lighting it up the band went into playing John Williams bass heavy "Imperial March" as mounted light sabers on the drum kit lit up. Wrapping up an amazing set the guys selected random fans to come up on and share center stage with them as they played their last song "Diary Of Jane" an amazing way to end their time on stage. 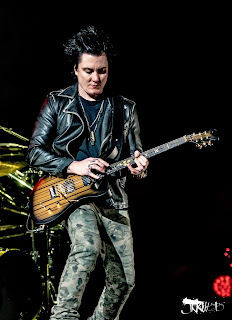 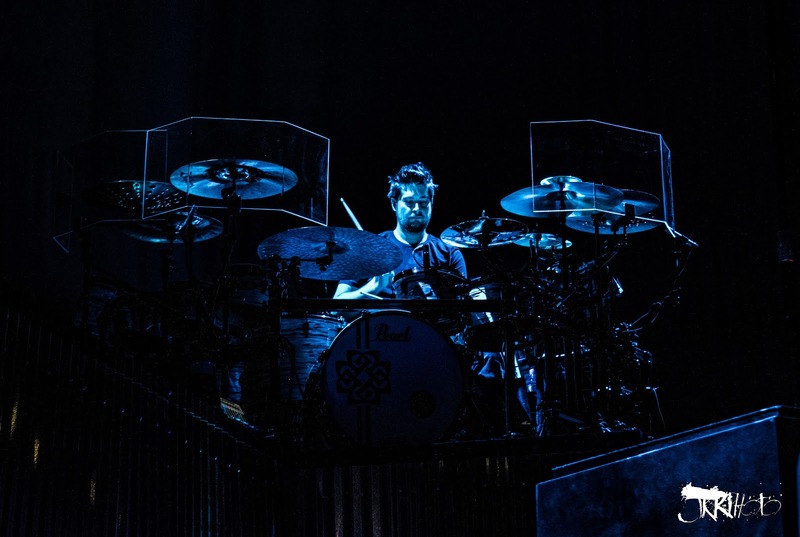 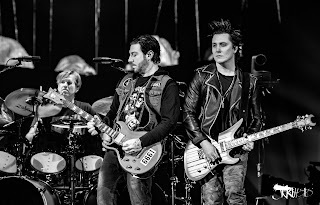 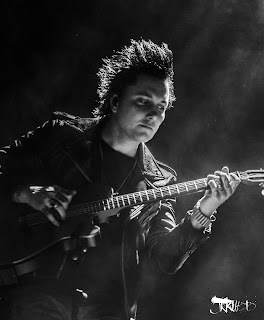 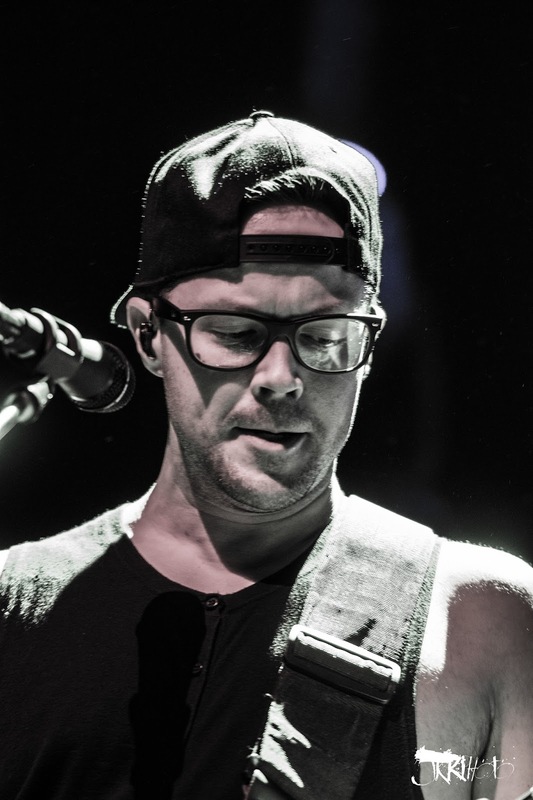 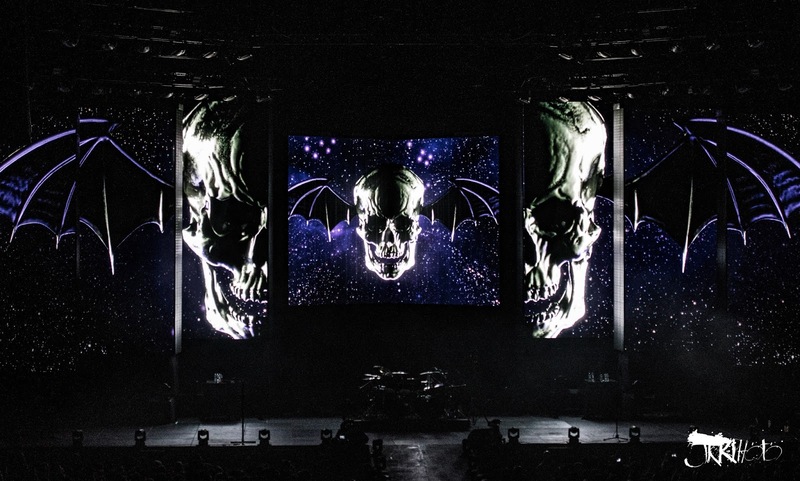 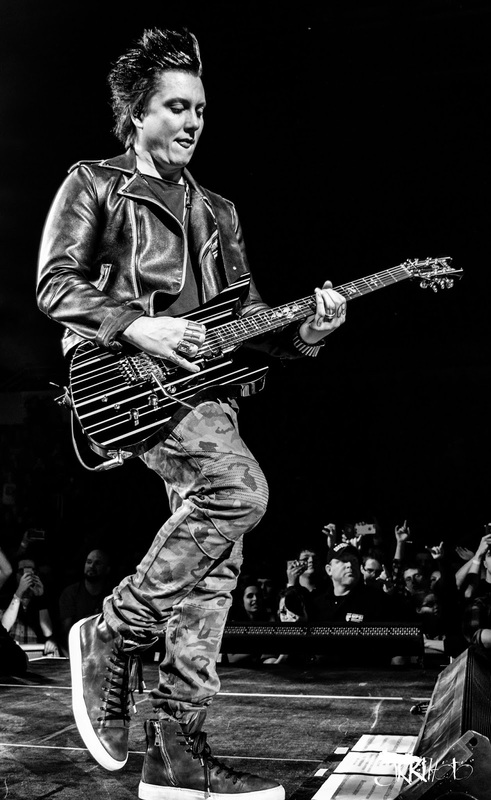 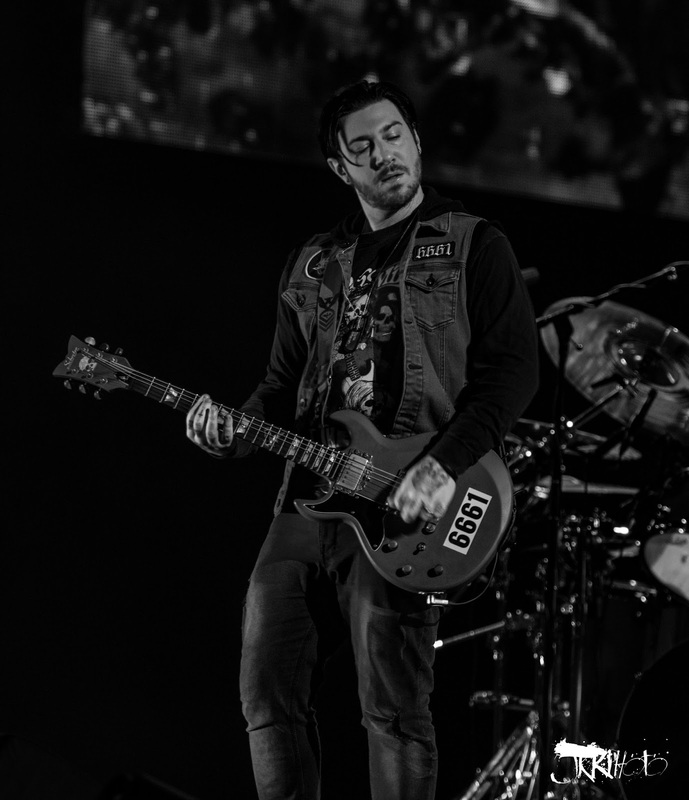 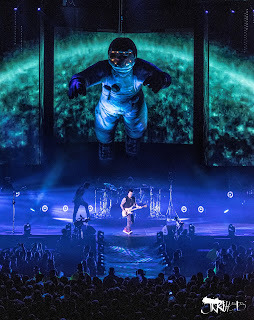 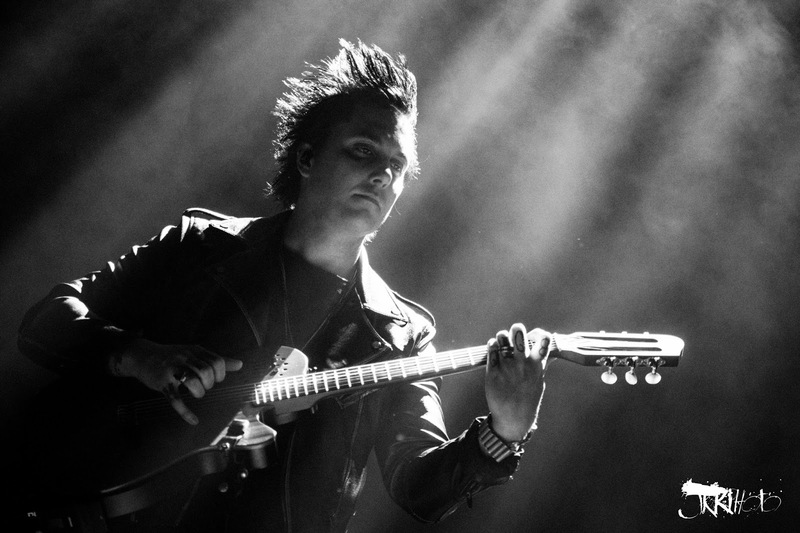 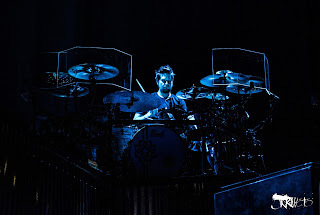 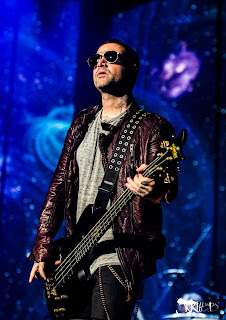 Their 9th Tour show headliners Avenged Sevenfold or A7X erupted with their tour titled song "The Stage" lighting up a new stage design with multiple LED screens almost making the show even to those in the back of the area a 3D type show. Matthew "Shadows" Sanders, Zacky "Vengeance" Baker, Brian "Synyster Gates" Haner Jr. (son of Guitar Guy from Jeff Dunham shows), Johnathan "Johnny Christ" Seward, and Brooks Wackerman these Huntington Beach, California guys played songs from their various albums including, "Hail to the King", "Beast and the Harlot", "Burn It Down", and the emotional "So Far Away" which is dedicated to past and much missed drummer James "The Rev" Sullivan who passed away unexpectedly in 2009. 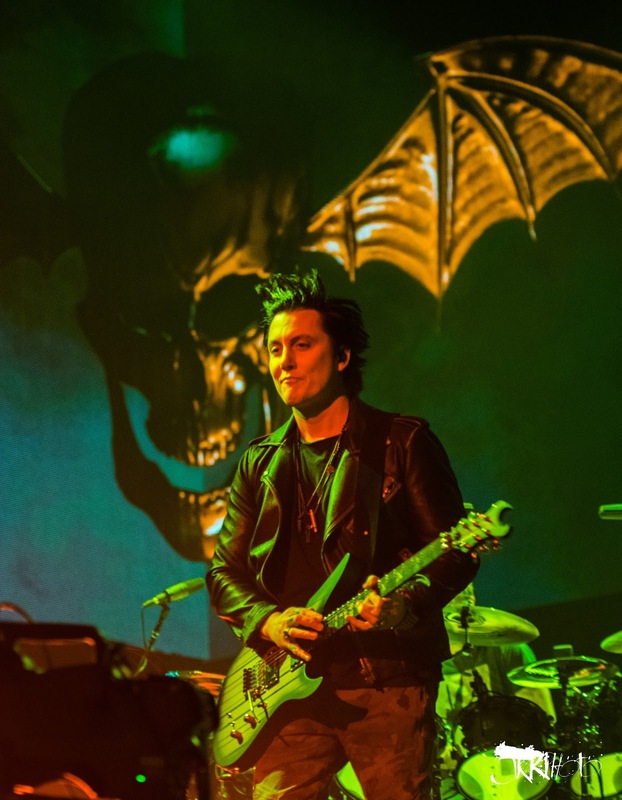 Much to the fans delight A7X played a Pink Floyd cover of "Wish You Were Here" before wrapping up with "Bat Country" Even when the stage darkened the crowd was not done. 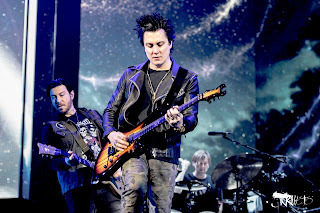 Erupting in the usual chant of "ENCORE!" 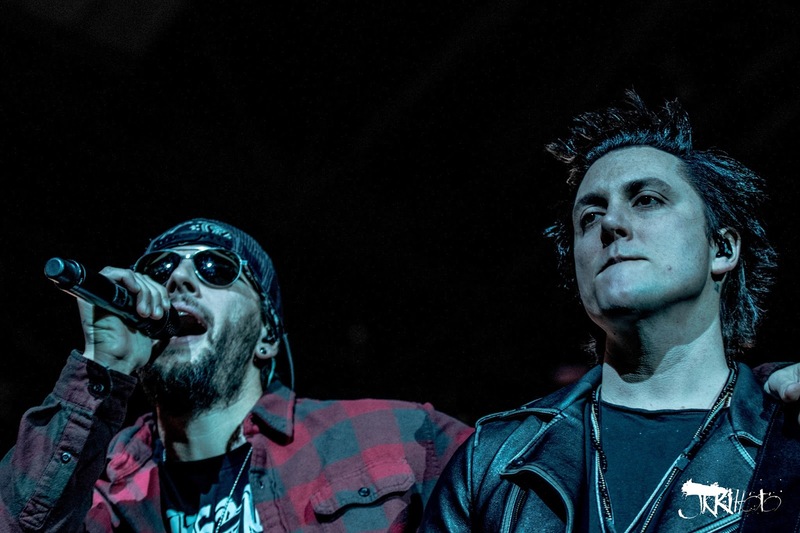 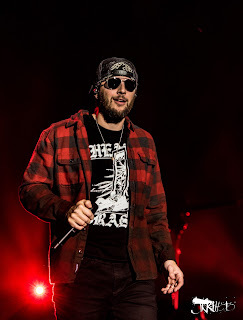 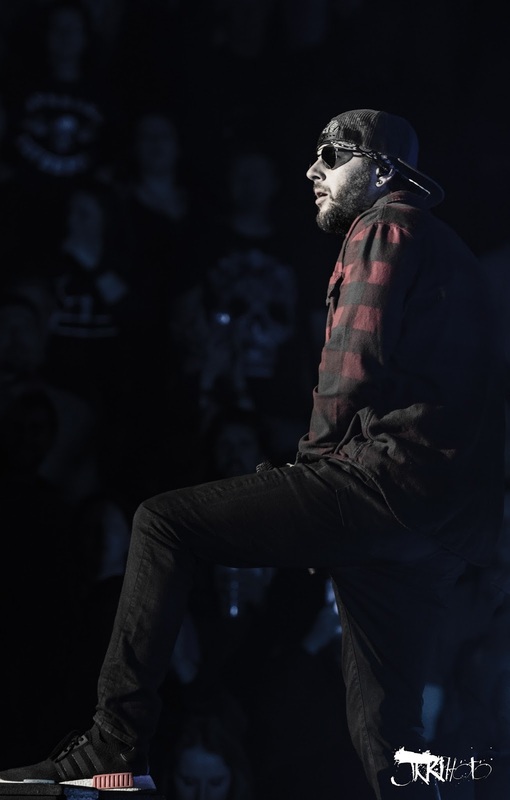 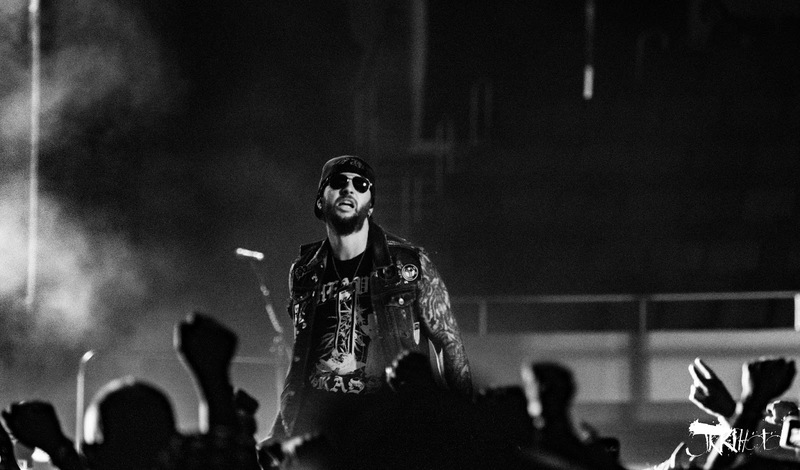 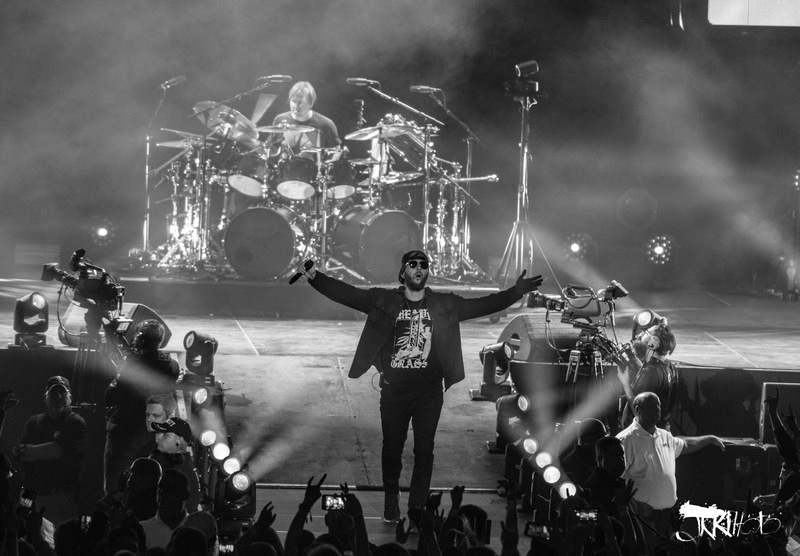 Upon returning to the stage M. Shadows pointed out the weeknight show by stating, "Look I don't want to be the reason why you're late to work or school tomorrow." 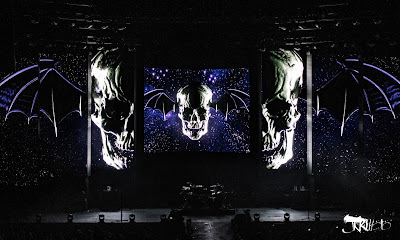 but even with the late hour coming up they played a three song encore "Critical Acclaim", "A Little Piece Of Heaven", and Unholy Confessions"